Breaking down bankruptcy: What are the steps involved? If a company's finances are in a mess and its liabilities are too high compared to its assets, it is possibly inching towards bankruptcy. On Wednesday, Indian mobile carrier Aircel Ltd, under a high debt pile worth Rs 15,500 crore and mounting losses, filed for bankruptcy. A day before, absconding diamantaire Nirav Modi's company Firestar Diamond Inc. filed a case of bankruptcy at a New York court, following the disclosure of the Rs 12,600 crore PNB fraud case. Bankruptcy is a legal proceeding involving a person or business that is unable to repay outstanding debts. The process starts with a petition filed by the debtor in a court of law. Following which, all of the debtor's assets are measured and evaluated, and the assets may be used to repay a portion of the outstanding debt. 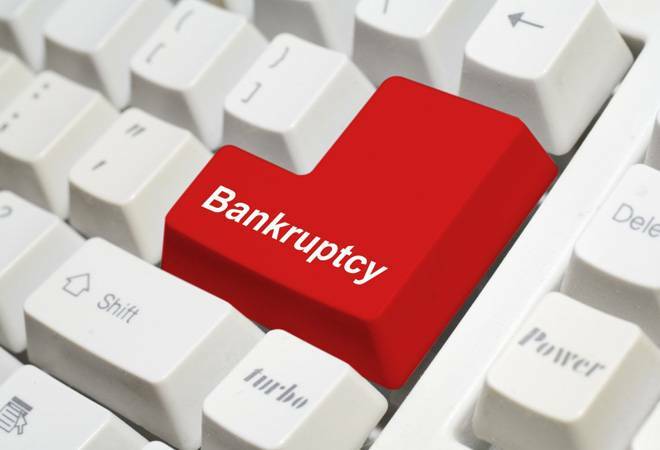 Filing for bankruptcy is like a restart button as it might give the person or business a chance to plan their future. However, filing for bankruptcy does not go down well with credit ratings, which means that getting a new loan to start a new business or venture can be tough. According to a recent report by Care Ratings, India ranks fifth out of 39 major world economies plagued by bad loans. 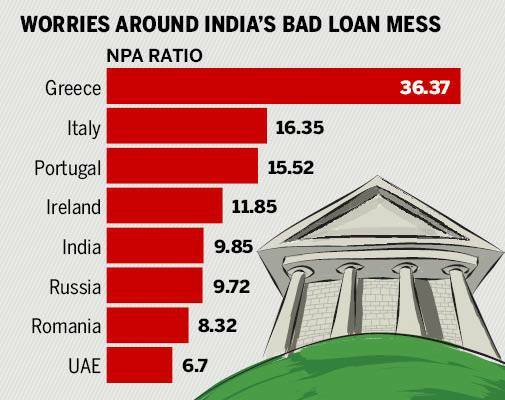 The non-performing assets (NPA) by Indian lenders are much higher than those of banks in other major economies like the US, UK, China and Japan. A Reuters report quoted that Reserve Bank of India (RBI) data shows state-run banks have reported 8,670 "loan fraud" cases. According to the Economic Survey 2017, stressed assets, i.e. bad loans and restructured loans, totalled 20% of the total loans in the system. According to experts, following an economic slowdown and years of extravagant lending, India's bad loans have nearly doubled in the past four years and is choking the new lending process. The new Insolvency and Bankruptcy Code 2016 is one of the most significant reforms adopted by the NDA government. The step has been praised by acclaimed institutions such as the World Bank and the International Monetary Fund. Under the new code, provisions have been introduced to address cross-border insolvency through bilateral agreements with other countries. The aim is to propose speedy trials at every step - from filing bankruptcy to appeals in the debt recovery tribunals, National Company Law Tribunals and courts. Before the code was adopted, the Presidency Towns Insolvency Act, 1909 and Sick Industrial Companies (Special Provisions) Repeal Act, 2003, were adopted to solve such cases. What is the fugitive bill? Can it stop the likes of Nirav Modi, Vijay Mallya?